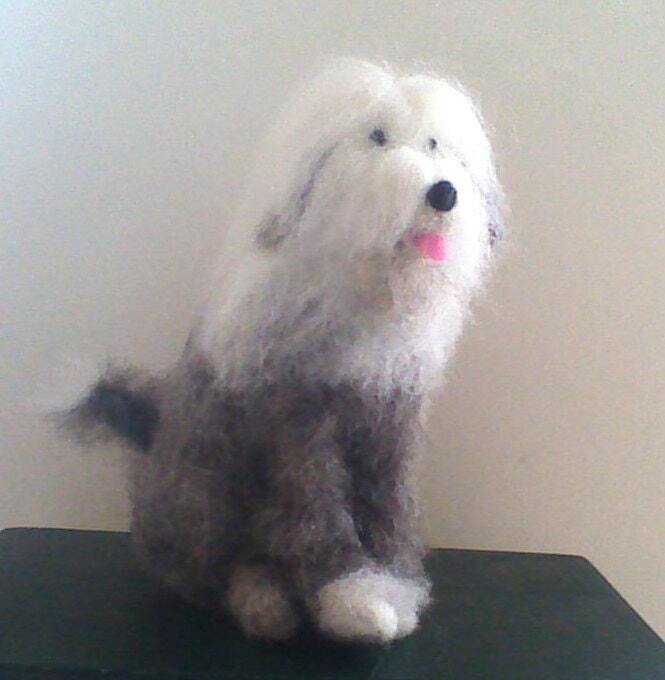 This needle felted Old English Sheepdog with her loving gaze will soon become a fond addition in any home. I sculpt this dog with wool around a wire frame and loving patience, taking great care to capture the dog's features and character. Each figure is around 15cm tall by 10cm at the base. 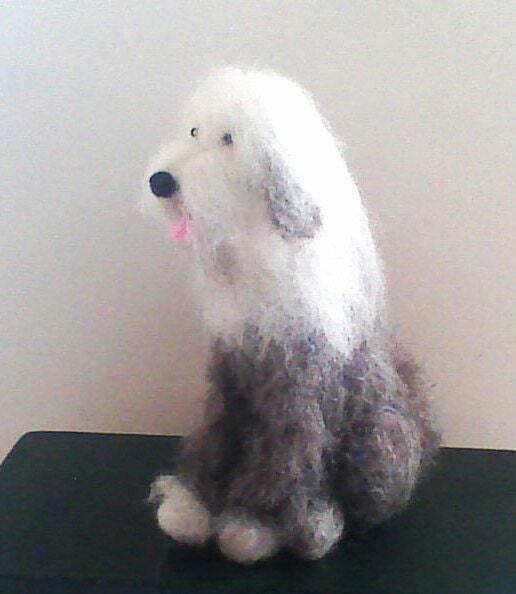 I am happy to take commissions for any dog if you have a special four legged friend. Designs to make your house a home.